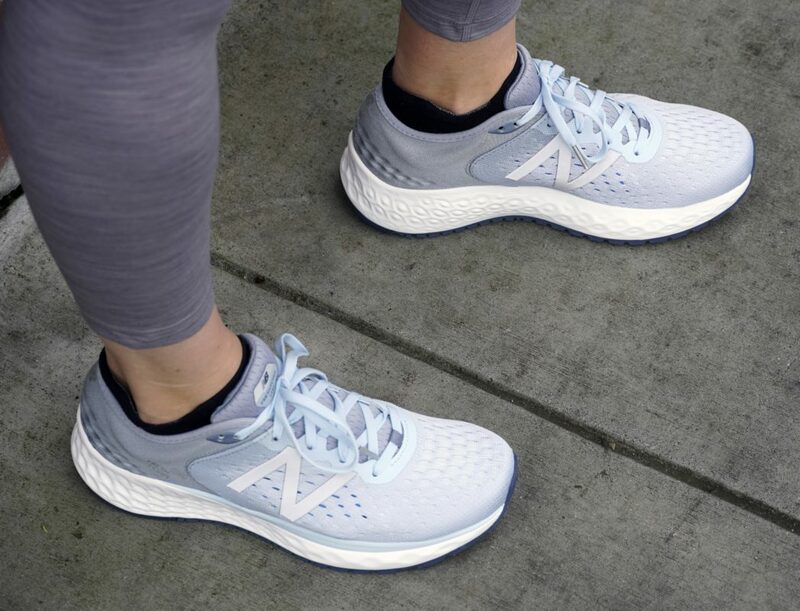 New Balance Fresh Foam is softening your stride (and your look) for spring! What better way to update a running world favorite than to actually poll runners themselves to see what they’re looking for in an athletic shoe? New Balance did just that in this latest edition of the Fresh Foam 1080! The blown rubber outsole gives it a dramatic, geometric-looking sole. That’s coupled with a Fresh Foam midsole, which keeps this high-cushion neutral shoe light and airy on the go, and a super comfortable modern double jacquard mesh upper! Whether we’re stretching pre-sweat sesh or strutting on the streets to our next appointment, we’re keeping it fresh with these great looks for spring! One of my first experiences with monochromatic outfitting came from my days as a competitive cheerleader, where you couldn’t even get in the doors at a competition if everything from your spanx to your socks weren’t matching. While this might’ve traumatized my wardrobe for a while, I can’t help but LOVE to layer up various shades of color for my workouts! 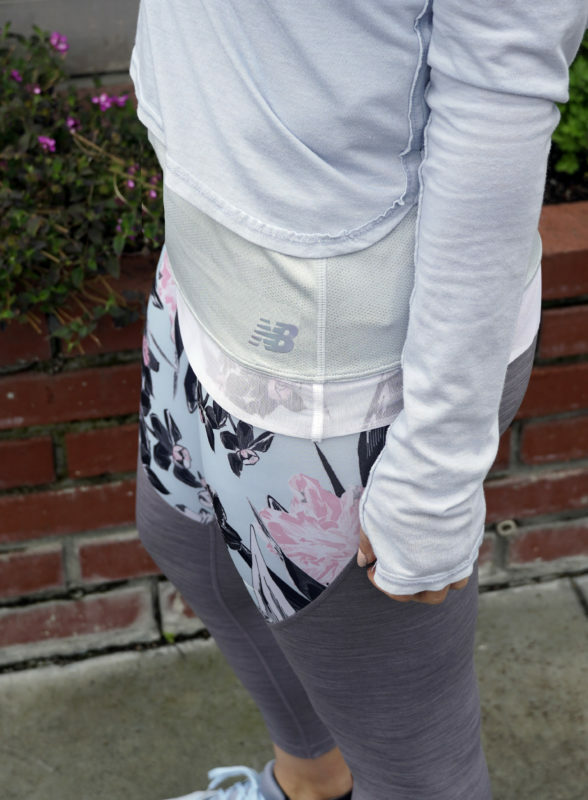 Keeping it light in layers, we went with the New Balance Q Speed Breathe Tank as a base with its technical heather knit fabric and engineered mesh hem. The subtle stripe of jacquard mesh helps to hide sweat lines AND break up that pale blue on pale blue action. As an outer layer, we wanted something light and ventilated with more arm coverage for crisp morning runs. This Vimmia Cross-Back Isle Long-sleeve Top is perfect, with its keyhole cutout in the back, thumbholes, and inside-out seam detail to make it an awesome layer for workout or work day. Nike’s training line has added a twist of fashion as of late, and with this unique contoured-body print, we can’t help but want to wear these on the way to, during, and after our workout! Compared to our fave Epic Lux tight, this one provides the same level of moisture wicking and ventilation, but adds a new, wider waistband (with a hit of that Nike Pro love) for additional support. …and so floral for Spring. 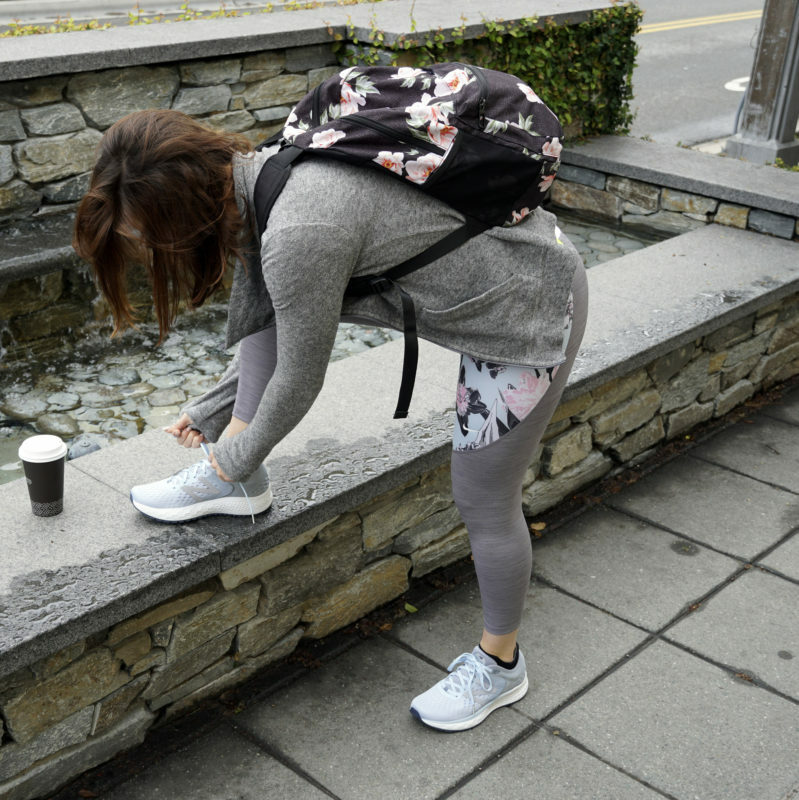 Even springtime on the west coast calls for warm, comfortable layers you can toss in your gym bag and wear wherever your post-workout day takes you! Rather than an old hoodie, we’re spicing it up with this asymmetrical, fitted Vimmia Warmth Zip jacket. The neutral color really does match anything and everything, including a louder print like the one on these Nike Pro Floral Crops! A trend we’re seeing often in the fashion world is the tie-knot and the French tuck, both styles made possible thanks to overly sized T-shirt trends roaring back from the ’90s. Whether you like to wear long tees for that booty coverage or to crop them up on your own, The North Face took it to their studio line to release this Workout Short-sleeved top! I’m wearing it French tucked in this photo, and unzipped the Vimmia jacket for a totally different look. We don’t expect you to have ample time post-run to go home and do a 360 to get out the door again, so we highly recommend a bag that can hold all of your belongings from the start of your day! Vooray’s Ace Backpack’s interior is all moisture wicking and provides a mesh pocket for your sweaty gear and a pouch for either your laptop or your shoes. Its navy rose pattern is ideal for this time of year, and who doesn’t love to see a pop of color and feminine flair on the street? I honestly haven’t left the house without my Goodrs since 2017 — and you shouldn’t either when they come in so many styles and colors to match your every mood and moment! Their BFG line is a bit more Jackie O in style without sacrificing Goodr’s no-slip nose pieces. We are digging this Ninja Kick the Damn Rabbit pattern, as it appears to be a true tortoise-shell print from up close and afar. 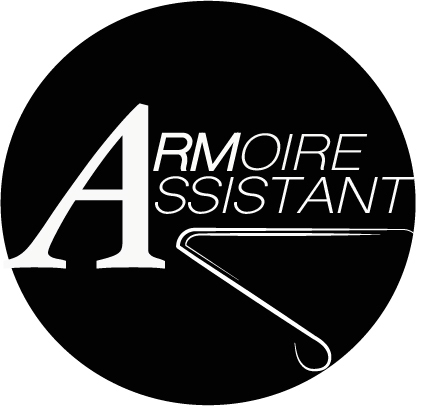 This entry was posted in Armoire Assistant, Gear Up and tagged armoire assistant, goodr, new balance, nike, the north face, vimmia, vooray.